Kevin Smith knows a thing or two about leadership. From being the first member of his family to attend college to dotting the “I” in The Ohio State University Marching Band, and creating and selling his first business, Kevin has an impressive and relatable set of experiences that help make him the perfect choice for student leadership programs. He would be an excellent fit for all types of audiences in both two and four-year institutions. Kevin’s time as a member of Delta Upsilon Fraternity allows him to present exceptional training to fraternity and sorority students for both campus-based and national organization programs. As a first-generation college student who has spent much of his career researching and working with community college students, he loves tailoring his message to meet the needs of this growing student population. Kevin has spent his career encouraging students to discover their purpose and helping them find their leadership path. As the Director of the Institute for Leadership Advancement for the College of Business Administration for the University of Akron, Kevin works with students each day to help them build and unleash their leadership potential. His vast experience as an entrepreneur, world traveler, musician, fraternity man, and first-generation college student helps Kevin relate to and connect with all students, regardless of their background or interests. 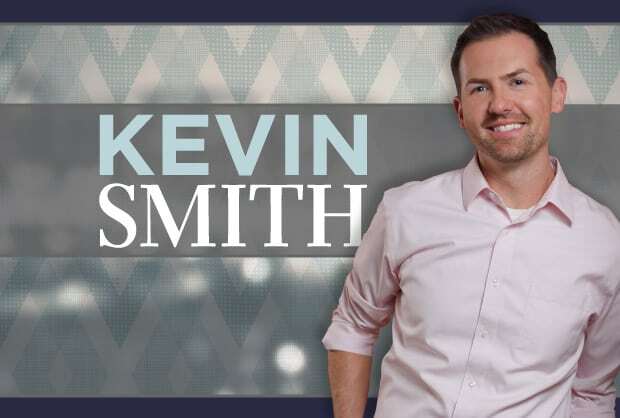 As a speaker and consultant, Kevin has spoken to and trained over 25,000 students, faculty members, and business leaders on various leadership topics including decision-making, multi-generational leadership, personal brand development, and strengths development. With degrees from both Ohio University and The Ohio State University, Kevin’s Midwest charm radiates as he challenges and inspires student leaders to take steps today toward lifelong leadership success. He knows that leadership is about making others matter and is enthusiastic about helping students reach their leadership goals. Congrats @pat_vickers ! Thanks for your constant support !! Congratulations to Pat Vickers of for winning the @LIGNMW growler raffle tonight at our @Lock15Brewing charity event! Resilience is the ability that allows some people to endure difficult situations and then come back stronger than ever. Yet college students aren’t known for their ability to handle negative feedback, take criticism, manage confrontation, or simply stick things out. These qualities are important parts of personal growth, employability, and common for high performing people. Kevin Smith knows a thing or two about resilience and he believes college students are much more resilient than they think. As a first-generation college student from a family broken through prison sentences, paralyzing debts, and an attitude of helplessness, Kevin emerged a successful entrepreneur, leadership coach, consultant, and Director of a Leadership Institute, realizing that the difference between the person you are and the person you could have been, can simply be a matter of grit. Kevin Smith’s keynote will inspire your students to recognize their inner strengths in difficult times, chase the moments that challenge them to become comfortable being uncomfortable, embrace and reframe their failures, change their course, and move forward with power and purpose. how to develop courage, self-confidence, and a positive attitude in the face of adversity. how to able to apply these new-found skills immediately to their organizations, teams, groups, and other meaningful college experiences. Why do most students feel lost when college is supposed to be about discovering purpose while preparing to make a difference in the world? Students are facing constant pressure to set aside their dreams and ambitions to play a function in our economy. This is not inspiring. We can change that. The truth is, every student, regardless of their major, is developing the skills and abilities to passionately live their dreams and become a success in life! In his keynote, Success Beyond the Major, speaker Kevin Smith shares personal stories of setbacks and successes to inspire students to pursue their dreams, define their unique value, become more than a major, and build the confidence to be in charge of their destiny. Kevin will challenge students to use their personal leadership skills, define their unique value proposition, create a story worth telling (no matter of their academic major), and encourage students to believe in themselves and take action. how to develop more confidence. For many community college students, making school a priority is hard enough, let alone taking advantage of all the extras. From fighting financial aid, challenging academics, getting lost in a big system, to just feeling overwhelmed with pressure, simply getting to class can be difficult enough. Despite this, we know that community college students have the most to gain – their education and experience will change their lives significantly. Simple decisions can lead to extraordinary outcomes if they simply know what to look for and how to maximize their resources. We cannot afford to leave this to chance. Instead, let’s show them how. This keynote is about helping students see past conventional roadblocks, maximizing their potential instead of marginalizing themselves and creating a personal plan for success with all the opportunities already created for them by their college staff and faculty. Students will hear relatable stories and learn of captivating examples which exemplify how any student can lifehack their way to success during college and beyond. how to develop the confidence to own their success both now and in the future. How can you expect others to follow you if you can’t tell them where you’re going? College students are asked to be leaders in a time when they are overwhelmed by options, stress, the pressure to make lifelong decisions, and the constant lack of a perfect choice. Yet, no one shows them how. In the end, we realize that others are making decisions for us, and we have lost our power to decide. Our students are drifting, choosing the allure of endless options over their core values. It is time we turn our “drifters” into leaders by showing them how to make firm decisions, take back their values, and empower themselves to create and sustain a stronger personal leadership identity. In this motivating and inspiring keynote, Kevin Smith helps students learn to use their values not as words on a page, but as a solid foundation from which to make solid choices and then stand behind them. Kevin helps students understand that leaders are willing to do what other students won’t, so they can live like other students can’t. how to have a heightened sense of self-confidence in their ability to make decisions consistent with their values.